DOOM Final Doom (unknown) "The Plutonia Experiment" in 12:53.28 by Clumsydoomer & 38_ViTa_38. 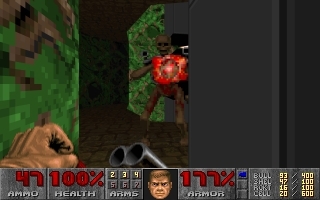 Final Doom is a Doom game that uses the engine, items, and characters from Doom II: Hell on Earth, distributed officially by id. It is meant as a sequel to the events of Doom II and includes two sets of levels, TNT: Evilution and The Plutonia Experiment. 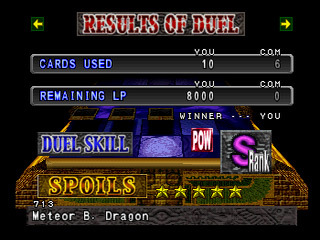 This run by Clumsydoomer and 38_ViTa_38 beats The Plutonia Experiment using Skill 4, Ultra-Violence. This is the most common skill level used in the Doom speedrunning and TAS community. This is an improvement of 1:12.69 over previous movie. PCECD Final Zone II (USA) in 08:07.11 by Mothrayas. Final Zone II is a top down shooter in which you control various soldiers throughout the game. 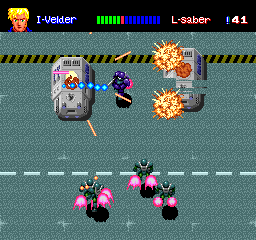 The objective of the game is to fight an enemy army led by "ZOD", who is a mass murderer and killed some of your commando friends. There are several manga-style cutscenes in the game, all of which have been really cheesily dubbed to English. 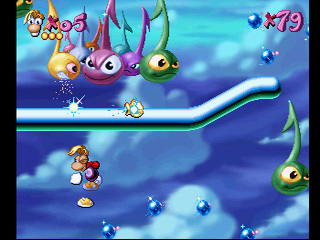 The game also features the "best" song to ever feature in a video game, that is, Momoco's theme (which you'll hear in Round 4). Mothrayas defeats Ruman in record time. N64 Donkey Kong 64 (USA) in 27:37.6 by RingRush. 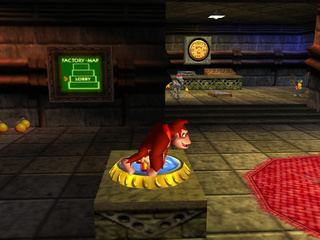 Donkey Kong 64 is similar to Rareware's other Nintendo 64 platformer series, Banjo-Kazooie, but stars Donkey Kong and his friends from the Donkey Kong Country games. 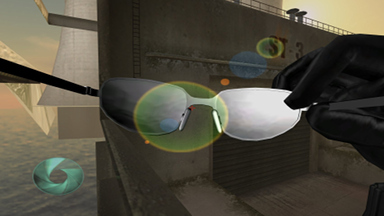 Several new features have been added to the game, like 3D graphics and the ability to change between different characters with different weapons and abilities. In this run, RingRush uses glitches to skip a vast majority of the game and beat K. Rool in record time. Due to differences between versions of the game, different timing methods, and the fact that RTA runs start with some features already unlocked, this run is slower than the RTA equivalent. GBA Castlevania: Harmony of Dissonance (USA) "all furniture, best ending" in 13:45.57 by hellagels. This movie is a 6:32.48 improvement over its predecessor, thanks to several new improvements and optimizations. N64 The Legend of Zelda: Ocarina of Time (JPN v1.0) "All Dungeons, Temples & Ganon Trials" in 1:42:29.53 by homerfunky. 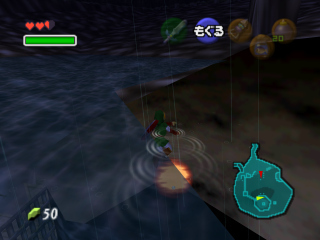 In this TAS of The Legend of Zelda: Ocarina of Time, the author aims to beat the game as quickly as possible while completing all dungeons, temples, and Ganon Trials. This goal is commonly referred to as "all temples", "all dungeons", or "MST (Medallions/Stones/Trials)". This run has 22:15.68 minutes of improvements in gameplay over the previous TAS of its kind. This movie contains a newer route and newer strategies which allow for a much faster completion than were possible when the last run was made. 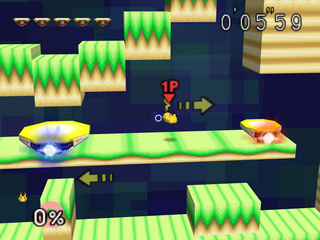 Several large glitches in the game are not used in the run, such as the Reverse Bottle Adventure or the Get Item Manipulation glitch. These are avoided because it would make the completion of any dungeon completely arbitrary; they can be seen in an old any% run. 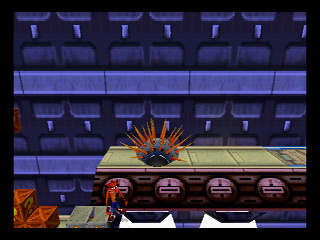 This TAS is played on the Japanese version of the game. The reason for this is that the text is significantly faster than in the English version, which means that far less time (roughly 12 minutes) is spent waiting for text boxes and cut scenes to end before getting back to the action. The author's notes explain in great detail many of the things done in this TAS which may be confusing to those who aren't familiar with Ocarina of Time speedrunning. Reading them is strongly advised. Note: There are encode of higher resolutions in the discussion thread. 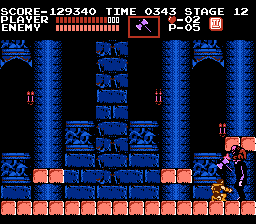 NES Castlevania (USA PRG1) in 11:19.03 by Challenger. 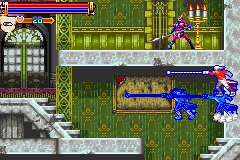 The original Castlevania is set in the year 1691. 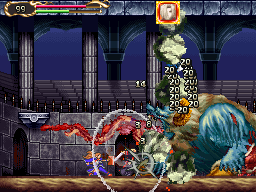 Simon Belmont must fight his way through the castle and destroy Count Dracula. Challenger improves one of the most well optimised runs on this site by 21 frames (roughly 0.35 seconds). However, due to the FPS difference between FCE Ultra (flat 60 FPS) and BizHawk (roughly 60.098 FPS), the improvement appears to be 1.47 seconds. The MSX version has been TASed as well! 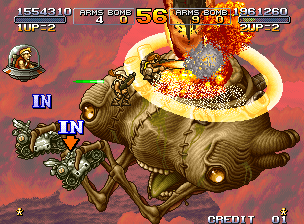 There is also a run of this game which destroys as little as possible. 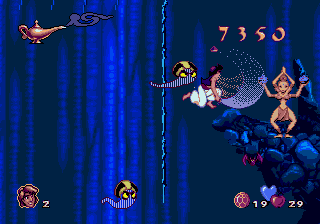 Genesis Disney's Aladdin (USA) in 10:04.86 by Flip. This is an improvement of 14.6 seconds over the previous movie thanks to better optimization, better use of resources and better speed control around corners. More detailed comments about the run can be found in the author's comments. SNES Donkey Kong Country (USA v1.0) "101%" in 41:18.37 by Tompa. 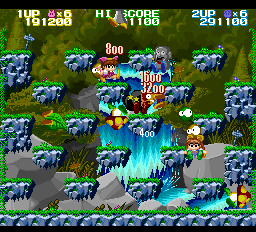 This run of Donkey Kong Country aims for 101% completion. The author of this run discovered several new time-saving techniques. Some of them are small enough to go unnoticed, and others are jawdroppingly huge. The total improvement over the previous run is a tremendous 6 minutes 6.93 seconds this time around. The in-game time of this run is about 33 minutes 10 seconds. For a detailed analysis of new techniques as well as comments about individual levels, read the author's comments. 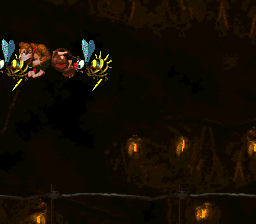 If you desire more rolling primates, we recommend watching the any% movie. The author, Tompa, also provided audio commentary of his TAS along with Pichi, which is available right here.